Kumeu Dental strives to use advanced dental technology to enable us to provide patients with the most attentive and comprehensive care possible. All of your oral health care needs can be cared for in our Auckland office thanks to the wide range of services and technology that we are able to provide. Our patients can expect the highest quality of dental care services, thanks to the wide variety of technology that we implement. Patients of Kumeu Dental can rest assured that we use the highest levels of contamination and cross infection control in our clinic. The autoclaves used in our sterilization area are class B autoclaves. These autoclaves are the latest and highest levels of autoclave available, which exceed even the mandatory levels of disinfection required in New Zealand. 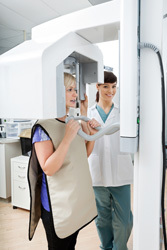 A combination of traditional and digital radiography equipment allow us to take only the best diagnostic images. This ensures early, minimally invasive care due to our ability to identify lesions and pathology in its earliest stages. 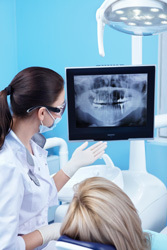 Every form of radiography that we use at Kumeu Dental uses the lowest and safest radiographic dose possible. The equipment and materials in our office are made of only the highest quality. We don’t cut corners on our materials and equipment, because these supplies significantly affect the quality of care that we are able to provide. Our office includes a video screening room where patients can view educational videos to help them better understand the care that they or their family are receiving. Using an activated form of oxygen, Ozone kills bacteria in the mouth that causes early forms of tooth decay, as well as other forms of dental diseases. After bacteria are halted, tooth remineralization can occur and the early stage of decay can reverse itself. Ozone is also used to treat ulcers, cold sores, in root canal therapy, gum disease and even whiten your teeth. Invisalign dentistry is one of the most aesthetically advanced forms of orthodontic therapy available for the modern dental patient. Patients, especially adults, appreciate the non-invasive approach to improving the function and appearance of their smile. There are no dietary restrictions as with traditional braces, and oral hygiene is very easy to maintain because you simply remove the aligners to brush and floss as normal. Our office utilizes electronic patient records. This simple step allows us to streamline your care, as records are easily accessible throughout the entire practice, including digital x-ray images.By managing patient records electronically, we can also ensure a high level of protection for our patients’ sensitive and confidential health information. 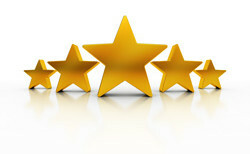 Our dentists continually research and study the latest advancements in the field of dentistry. As newer technologies become available, we thoroughly investigate options that allow us to offer more advanced care for our patients. Our entire team of practitioners trains together throughout the year at continuing education seminars including one-on-one trainings with new dental technology as we implement it into our office.